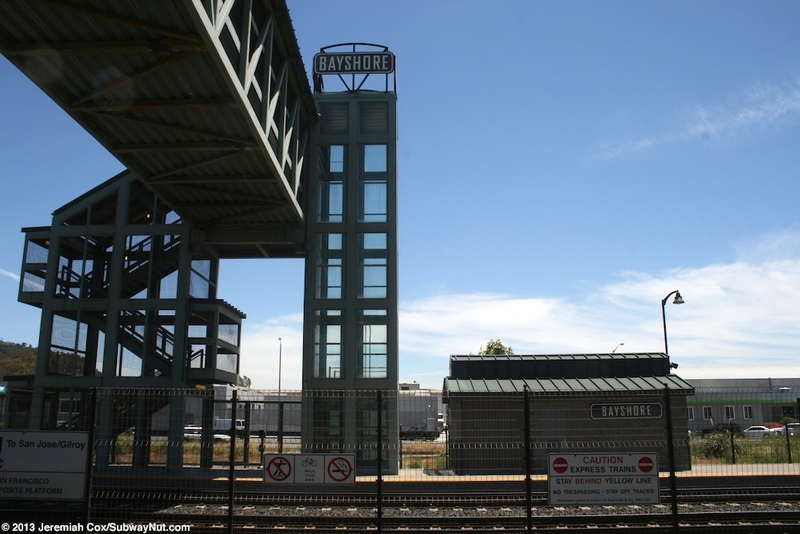 Bayshore is a Caltrain station that was totally rebuilt as part the Caltrain Express Program that added passing sidings for express trains to pass local trains. 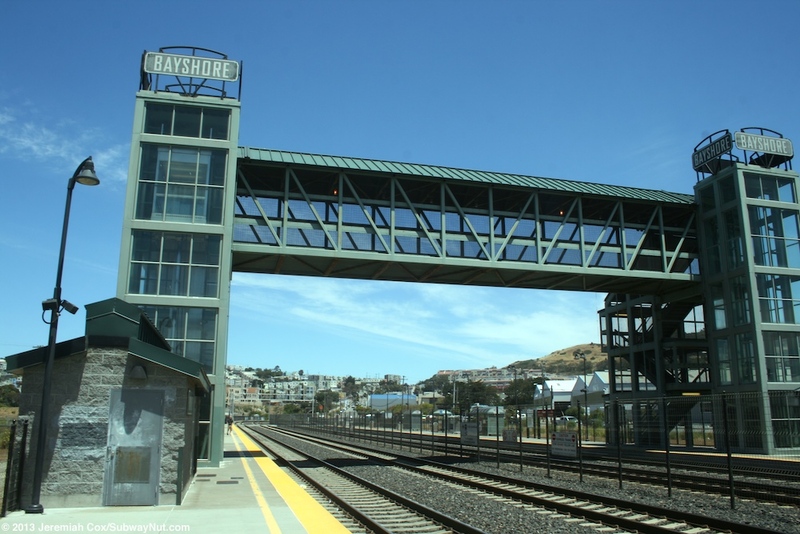 One of these passing sidings is at the Bayshore Station which was expanded from two to four tracks and required completely rebuilding the station platforms just south of the original platforms (the parking lot wasn't changed). 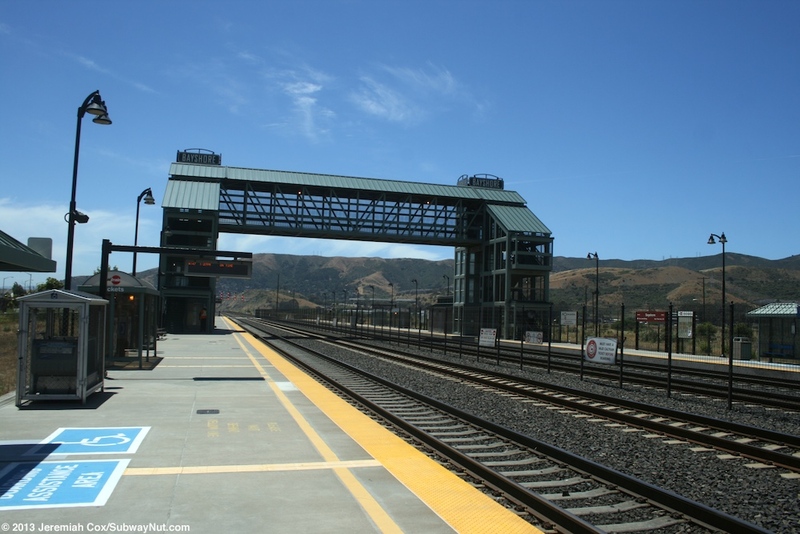 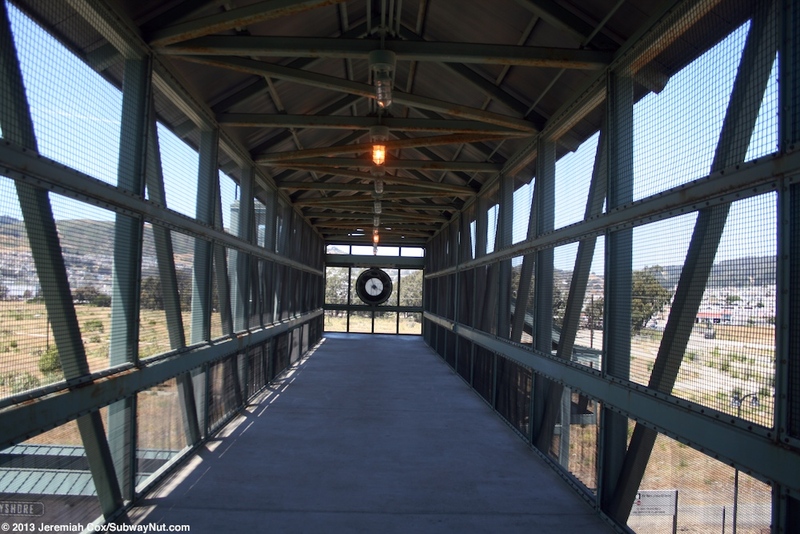 The rebuilt station was officially dedicated on March 22, 2004. 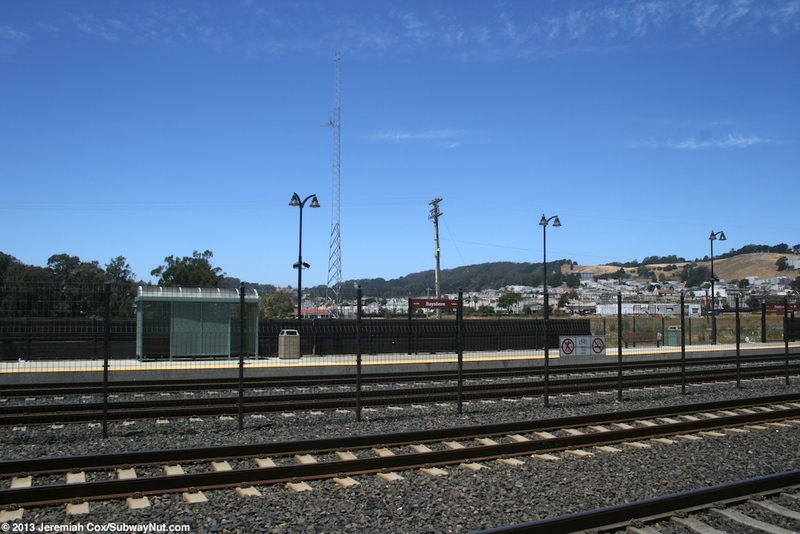 The original station had two much shorter side platforms connected by pedestrian crossings for just two tracks directly in the parking lot. 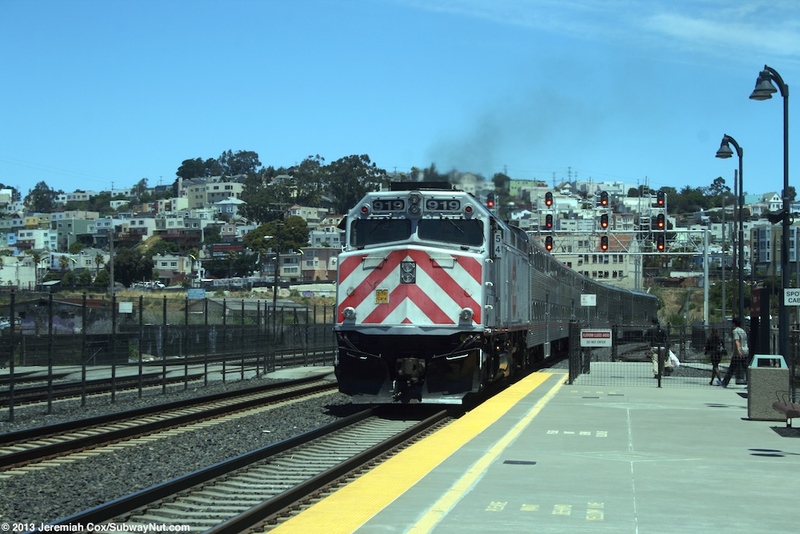 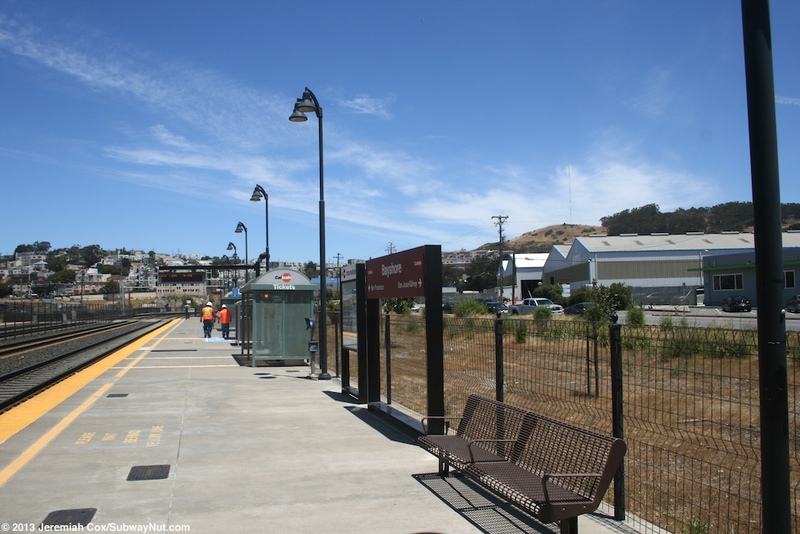 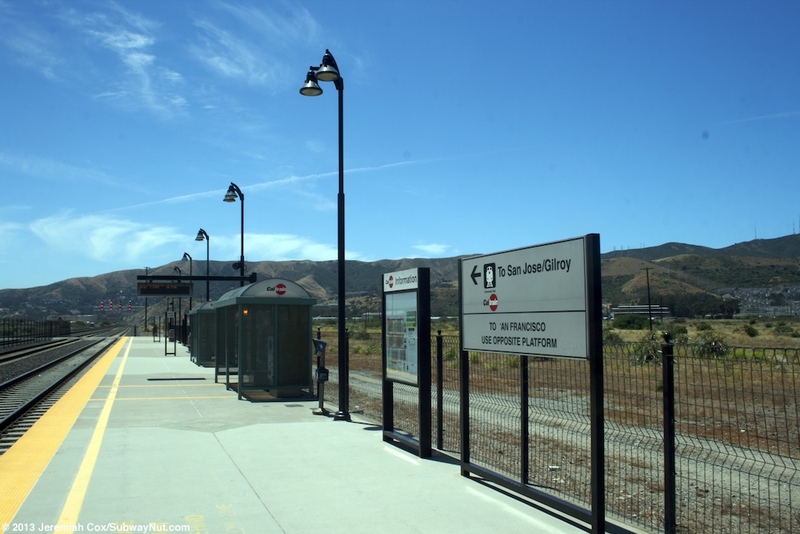 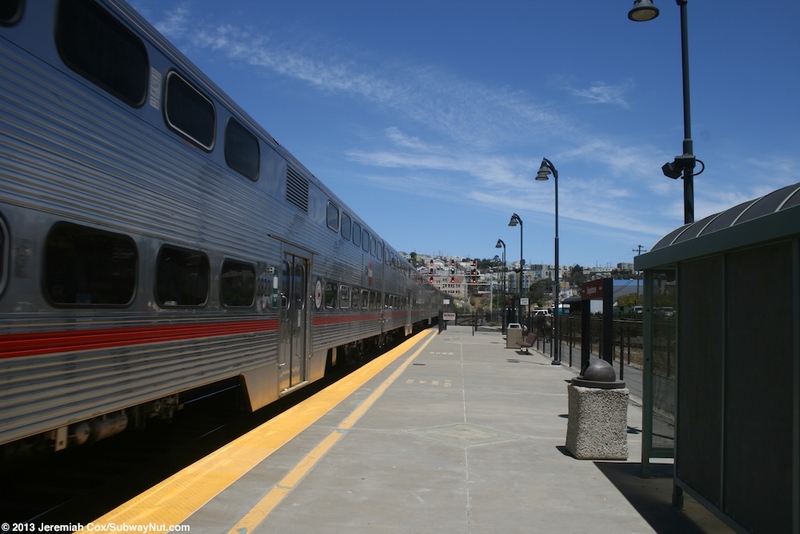 The station is directly on the border of the City and County (it is its own) of San Francisco and San Mateo County. 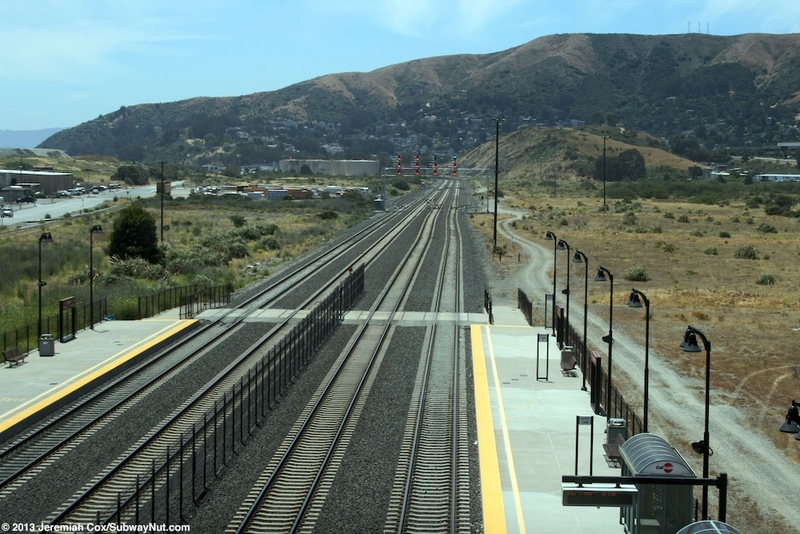 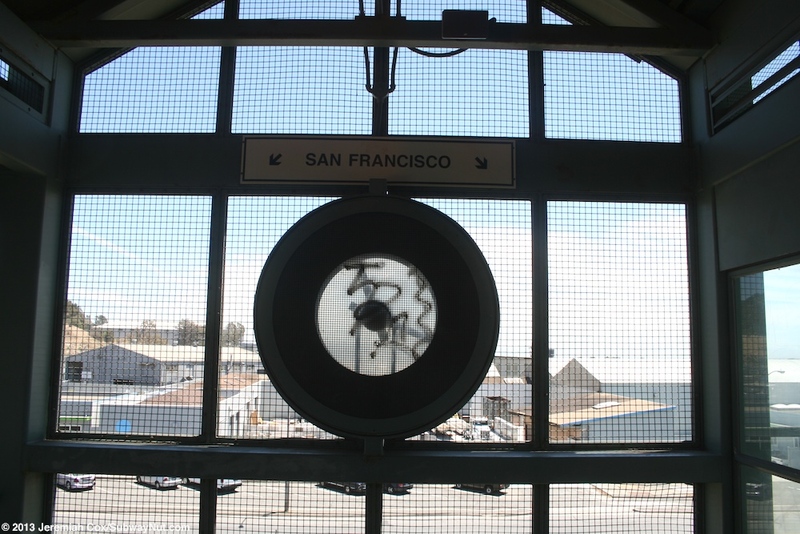 According to Google Satellite images, the only entrance to the platforms are within San Francisco with the boarding at roughly the northern end of the platforms. 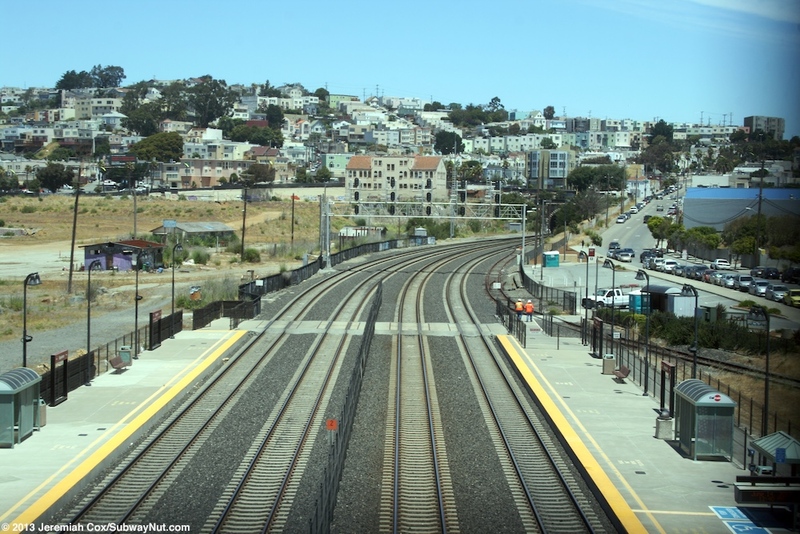 Just north of the station the passing sidings end and merge back into two tracks before entering Tunnel #4, the first of four historic tunnels that trains use into Downtown San Francisco. 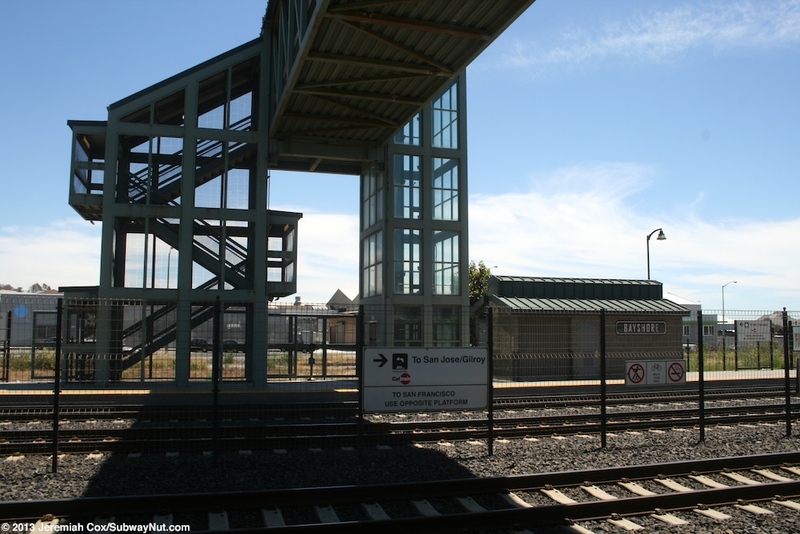 The station receives the basic of basics, just every hour, service and has been proposed for closing. 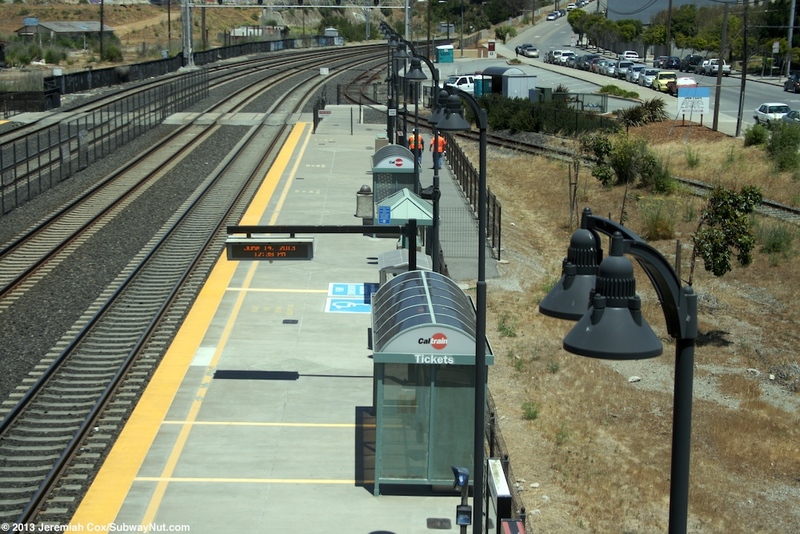 The current station has two long side platforms for the four-track line that are fully ADA compliant. 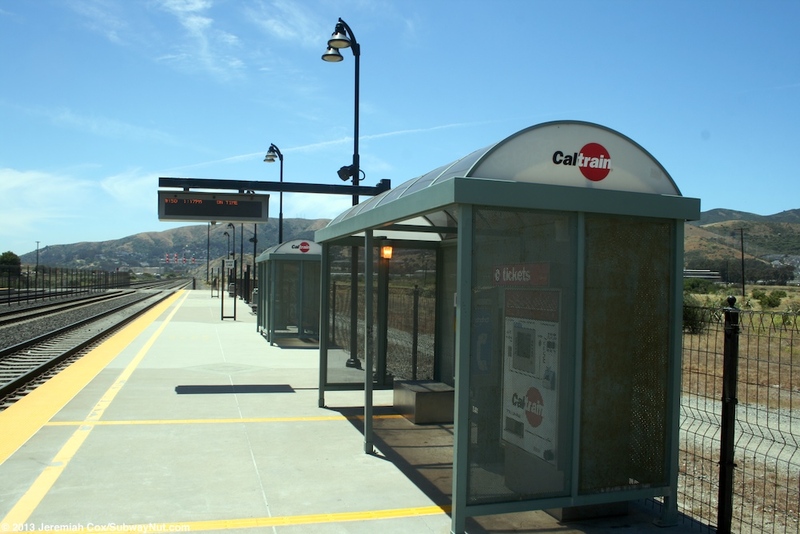 The platforms each have green lampposts and some green mesh bus style shelters for waiting passengers that also cover the ticket machines. 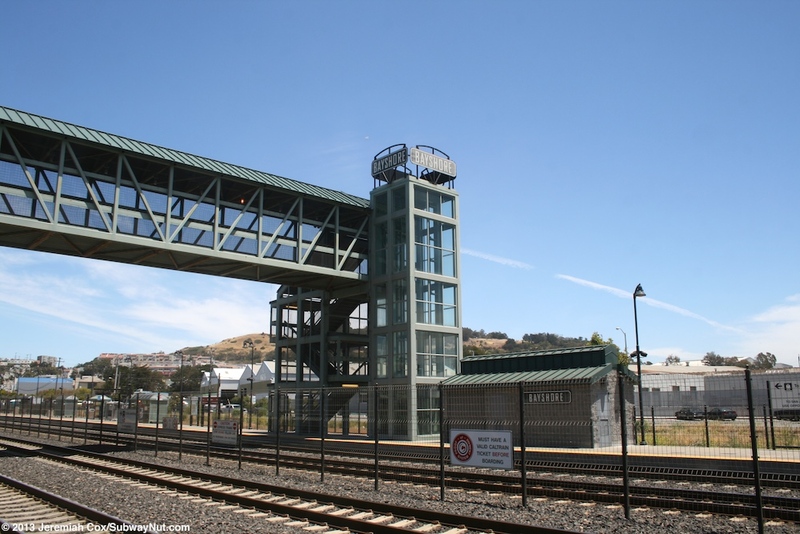 An extremely tall pedestrian bridge connects the middle of each platform. 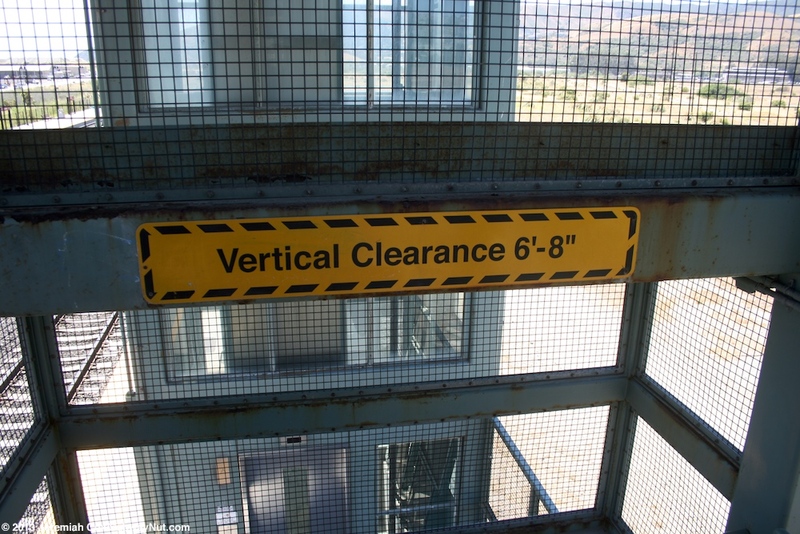 This bridge has full height mesh walls and green elevator shafts. 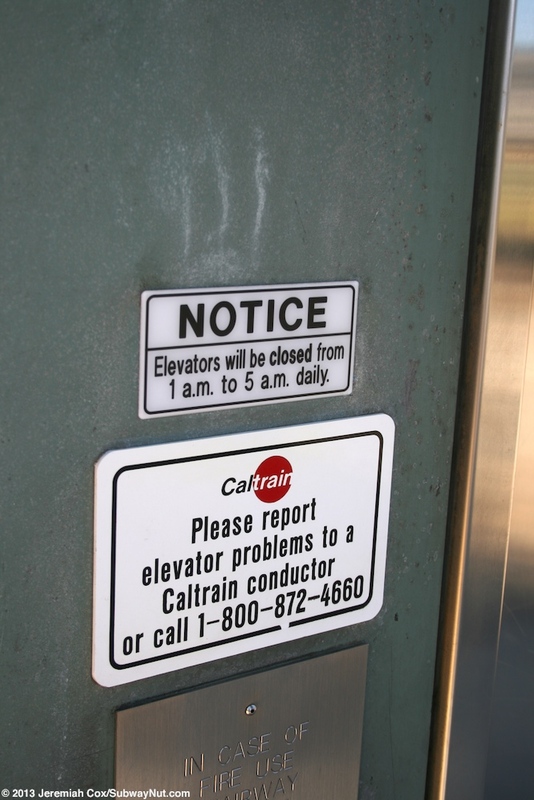 Signs in the elevators say they are closed from 1am to 5am when there isn't any service. 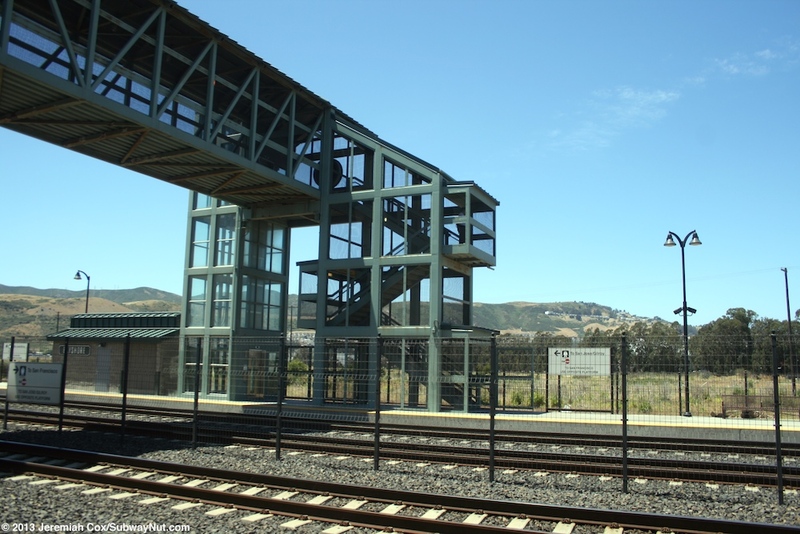 There are also exposed stairs down to each platform that require two flights. 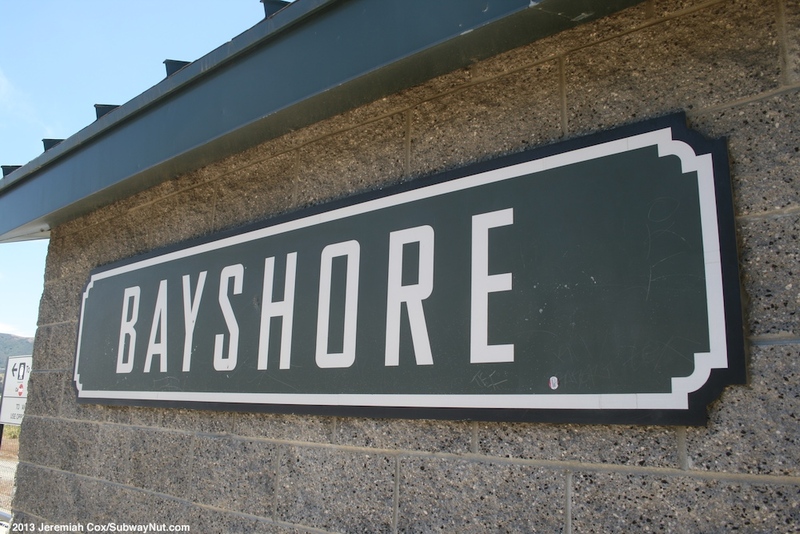 The tops of the elevator towers have unique green with white text Bayshore signs also found on an equipment room found on each platform.